Summer. Almost six weeks with my children and I LOVED it. Seriously. I’ve heard a lot of ‘thank god school is starting’ or ‘so glad we’ve got through the 6weeks’ and I don’t know how to respond because it gets me uncomfortable . I want to shout ‘but it’s wonderful, I don’t want it to end!’ and ‘I have to go back to work and not see my brood till the weekend!’ (These are clearly my own issues I know). So I’ve decided to put down on paper, my positives. Being physically close to them (the mornings lazing in my bed and stroking of skin, the cuddles when tired because they are up late but who cares, the applying of sun cream that they hate but allows me a study of their incredible skin and freckles and general wonderment that I made them). Luxuriously watching them and all their quirky ways because I can and I’m not rushing. Having conversations and discovering their thoughts for real (that the salt in the sea tastes like actual salt, that the pole dancer in the circus looks like the best job ever, that their poo smells but that’s why they open the window so that the smell will run away). Observing the sibling relationships in my children proudly (even when the youngest puked all over the back seat of the car and his siblings, as I drove solo home on the motorway and they helped one another to survive it!). Finding time for new skills learning in a pleasant and enjoyable way. So they can begin to learn to sew or to cook or to swim and mummy isn’t tidying it away around them or screeching that they must stop as tea is ready. Taking my time in my parenting and practising. It’s amazing how much easier good parenting is when you are present and relaxed. All of this I experienced and adored this summer. I did not want the holidays to end. This does not mean that my children did not infuriate me; I’m not a bloody Saint. But I did have realistic expectations, so when they were sulking with me or fighting a sibling, I wasn’t panicking that my parenting was failing or that our time together was ruined. It’s obvious really, I guess but it makes all the difference. I wasn’t splitting my time, my body, my mind between my children and my work. I was physically with them and mentally present. It’s now that they and I have returned to the routine of school and work every day that I see that difference so plainly. Within a day my body is tenser and my mind is constantly moving and wondering, and with that I am tired and snappy and frustrated. Not the same mummy. I am back to straining myself to be there for them when it’s often a time impossibility. I know that I am, for some, lucky to get school holidays with my trio. 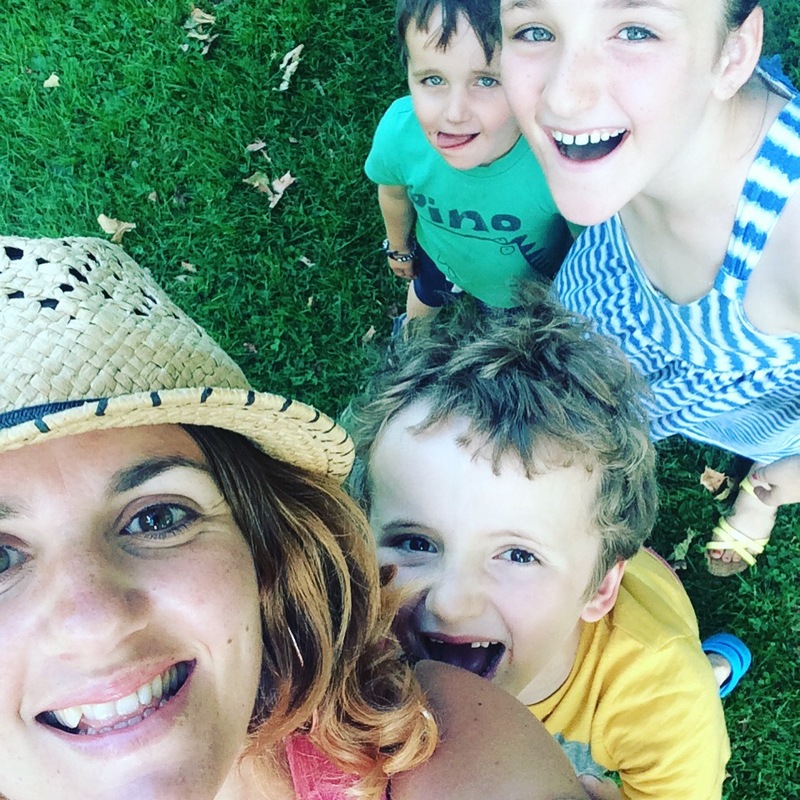 I know that, for some, summer holidays are not a joy because they are with their children all year round and it’s enough, I know that, for some, the thought of summer holidays and family together or balancing kids off but parents working is hell. We are all different. But I wanted to record my truth. I loved the summer, every hot and bothered, whining, ice cream eating moment. Roll on October half term. Previous Post Wedding anniversary and 22 kids.